Blog Aglasem joins the 1000 club! Another reason for celebrations! 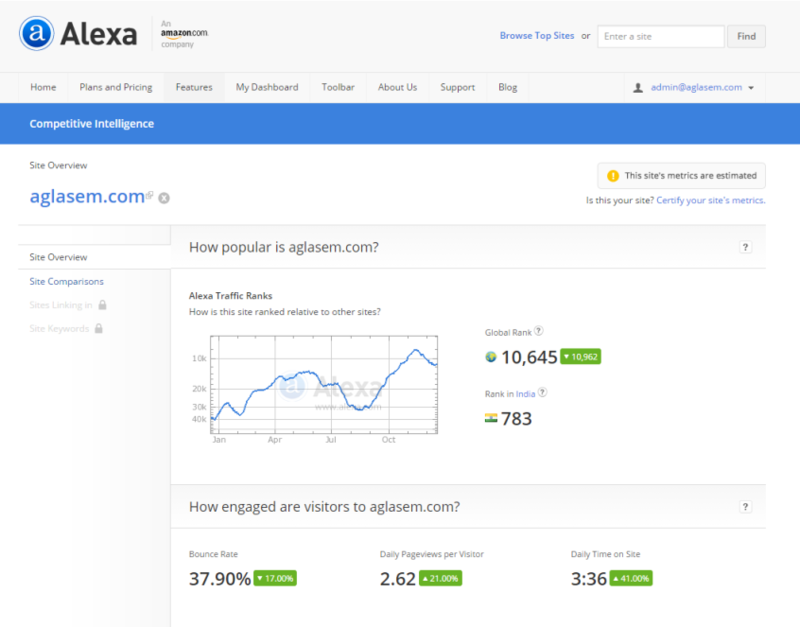 Aglasem is now among the top 1000 websites in India! Our Alexa ranking is now 783! Kudos to us and a big Thank You to our visitors! The journey so far has been great and this milestone is specially a major morale boost for our team. With the admission season in full swing, each and every one of us is working hard to give you the best information and resources to help you towards a great career. All our sections Aglasem Admissions, Aglasem Jobs, Aglasem CBSE, The Indian Fusion, Aglasem Higher Studies; are being continuously updated, recreated as per your requirements. Lo and Behold, we are also crossing more than few million visitors per month each of who are viewing more 2.5 pages. What’s more, Aglasem loyal visitors have grown in numbers with a rise in the number of returning visitors. And, very soon we will give you the Aglasem Ranking of Colleges too!